In 2010, after a devastating earthquake ravaged Haiti, Random Acts made a commitment to help them rebuild their homes, communities, and lives. Since then, we’ve raised hundreds of thousands of dollars for Haiti and funneled that money directly into local, sustainable projects serving children in Jacmel. These are children who might not otherwise have a safe place to sleep, clean water and regular meals, health care, a school to go to, families who care for them, or most importantly, hope for their futures. Thank you to all of our fundraisers and donors for making this possible, and for being with us during our journeys to Haiti, whether in person or in spirit. From 2011-2013 Random Acts undertook a journey in Jacmel, Haiti, to help restore hope following a devastating earthquake. This book tells the story of that journey and the people and places that were an integral part of it. 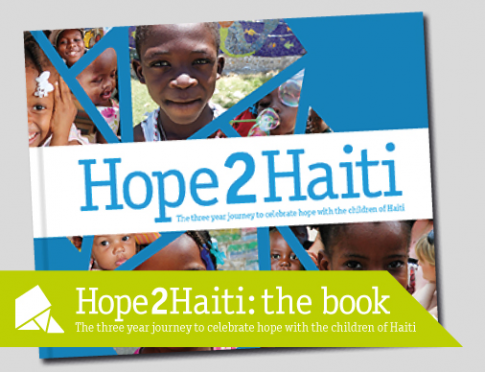 All proceeds from book sales support the Jacmel Children’s Center. The Hope 2 Haiti project has been completed and Random Acts is not planning more trips to Jacmel, but we are committed to providing ongoing financial support to our Haitian friends as necessary. We also perform many random acts of kindness around the world.